Childrens shooting day is coming. Spend a wonderful day with the kids: Take part at the Childrens shooting day and get 15% discount off lunch. Enjoy Sunday Lunch at the Fairways Restaurant. New to Fairways Restaurant: Sunday Lunch served from 12pm – 5pm. Come and join us on the 15th July, enjoy the view and a delicious, freshly prepared meal: roasted leg of lamb with fresh herbs and garlic, new potatoes and a fresh thyme jus prepared by our head chef Olivier Borja – bon appetit. GETTING READY FOR 2019 WITH A NEW OWNER. The majestic 19th century mansion currently comprises 22 rooms and will be completely renovated after the building permit has been granted. A separate extension, scheduled for completion in 2019, will also offer 57 additional rooms as well as a luxurious spa and state-of-the-art conference facilities. In addition, 60 lodges will be built on the site of the extensive golf course, which will be sold to private investors and rented out to changing holidaymakers using the proven sale-and-leaseback concept. 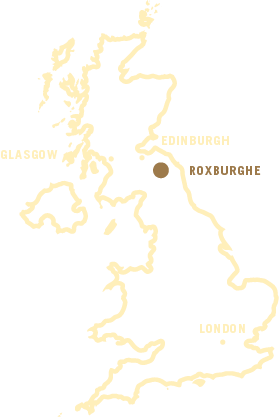 After the reopening, the Roxburghe Hotel & Golf Course will trade under the brand "SCHLOSS Hotel".